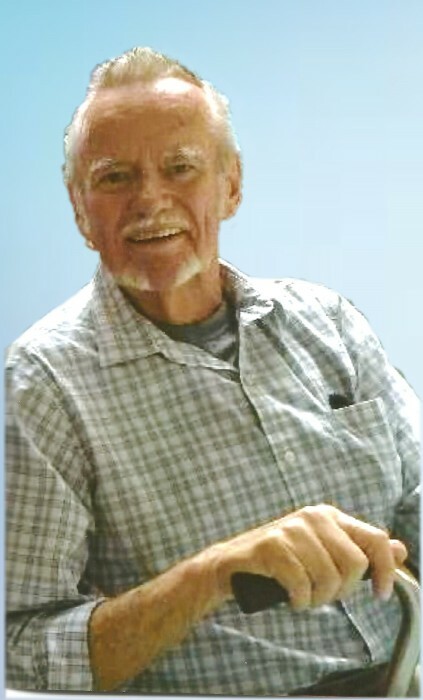 Ronald Eugene Whitham, 80, of Dillsboro, IN (formerly of Lake Alfred, FL) passed on Thursday, June 14th, 2018 at his residence. Ronald was born at home in Florence, Indiana in Switzerland County on July 10, 1937 to Harold Leroy Whitham and Myrtle Mabel (Slack) Whitham . He was their first born. Ronald attended Rising Sun schools, graduating in 1955. Ron enjoyed telling stories of his youth where he worked at Draut's Ideal Restaurant from the age of nine, sweeping floors, stocking the soda machine, washing dishes and helping in the kitchen. There he watched the cooks and in addition to his mother's tutelage in the kitchen gained a love for cooking and baking. As a teenager he went to work at his father's service station before entering the Air Force after his high school graduation and serving for four years. Ron was a former member of the Rising Sun Fire Department and Rising Sun Life Squad. Over the years he held, many positions in sales and management which took him across the country and finally landed in Florida where he and his wife, Sherley enjoyed 18 years of retirement. Ron loved to tell stories of his many adventures to the great pleasure of his audiences. Surviving is his loving wife of 45 years, Sherley May Whitham, his daughter, Alecia (David "Woody") Fryman of Dillsboro, and step-sons, Terry (Bonnie) Brown of North Carolina and Robert Brown of Hebron, KY, daughter-in-law, Doris Whitham of Walton, KY, sister, Rita (Kenneth) Ashcraft of Rising Sun, IN and brother, Larry (JoAnn Pence) Whitham of Indianapolis, IN. He and Sherley were blessed with 11 grandchildren; Shane, Tony, Keenen, Chris, Kasey, Alissa, Stacey, Melanie, Nicole, Joel and Brandon and 16 great grandchildren; Chase, Anna, Avery, Alexa, Richard, Kada, Kole, Holden, Olivia, Collin, Abigail, Braedon, Taylor, Benjamin, Aiden and Edie. Preceding him in death are his parents, and his son, Steven Jay Whitham and a step-daughter, Judith Brown Simpson.